Fighting sticks are found worldwide in every culture, past and present. From a caveman with a club to a Shaolin monk with a bo staff to a police officer and their tonfa, fighting sticks are here to stay. For such a simple weapon, humans have found a staggering amount of ways to specialize something that basically amounts to a whompin’ stick. We’ve put a list of them together for your perusal, some familiar and some not. If you’ve got suggestions on what we missed drop us a line in the comments below! Doesn’t get any more simple than this! If you pick up a heavy stick, you’ve got yourself a club, plain and simple. Clubs are used in one hand and can be composed of wood, metal, or anything else you scavenge. Don’t look for much artistry when using a club, just get to whompin’. A little more advanced than a club but not quite a shillelagh, a cudgel has a heavier end for striking. That extra weight adds to the strength of its strike and makes it a slightly more refined tool than your common club. A simple weapon of Irish tradition, the shillelagh is typically made from oak or blackthorn wood, although many materials can be substituted. 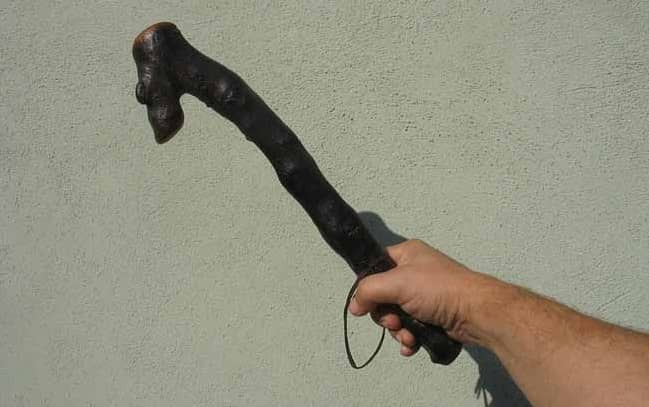 What makes a shillelagh a shillelagh is the large knob that serves as its striking end, its black color (achieved from dying, burying under cattle dung, or simply painting), and its double-use as a walking stick. 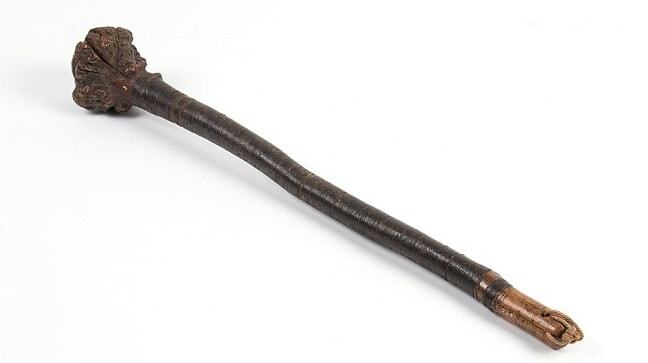 Some shillelagh have a hollow striking end that is filled with stone or metal, making it a vicious weapon. Batter up! 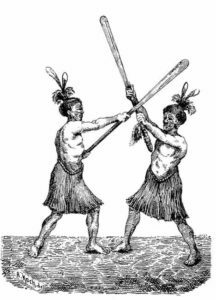 The baseball bat has transitioned from America’s favorite past-time to a worldwide self-defense tool, and no wonder! It’s literally designed to crack into its target repeatedly without wear and tear. 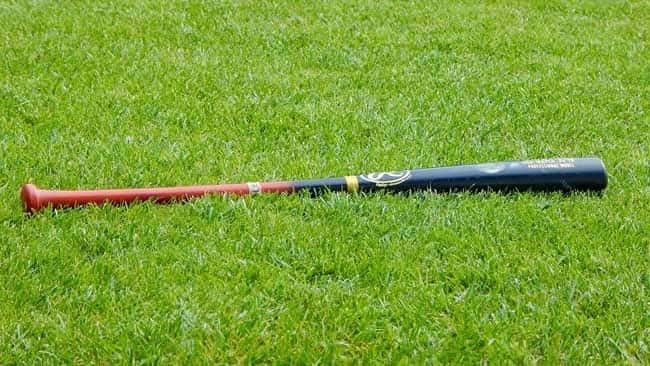 It’s simple, but it’s effective and almost anybody can successfully swing a bat. A weapon from the Philippines, these fighting sticks are used in familiar martial arts like Arnis or Kali. 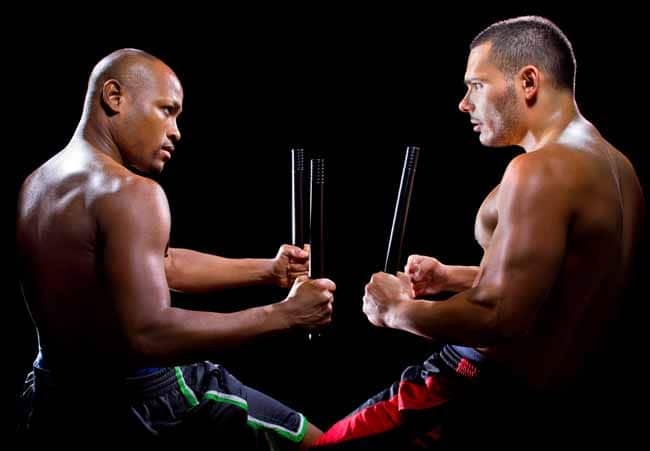 The key traits of an escrima fighting stick are its lightweight but strong composition. These weapons are often wielded as a pair and are as effective offensively as they are defensively. Metal versions exist and are deadly weapons in even untrained hands. 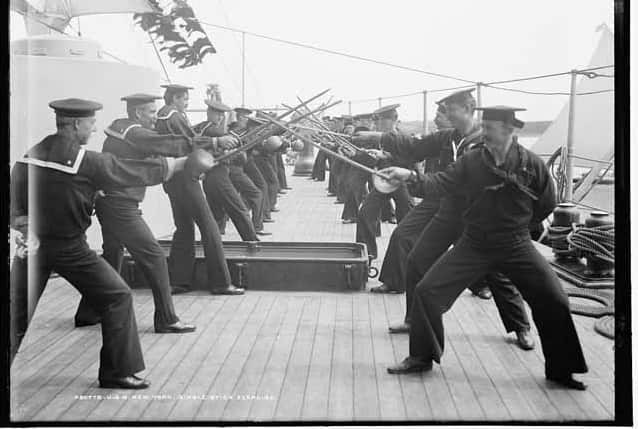 Traditionally used to practice sword fighting, the singlestick took on an identity of its own in Canne de combat, a French stick fighting tradition. The weapon is about three feet long and slightly thicker at one end than the other, and often sports a basket hilt to protect the hand of the wielder. 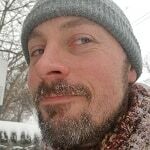 Singlestick combat can be compared to fencing. A weapon originating from Asian martial arts practices, the bo staff is made from hard or flexible wood. The flexible, rattan-based bo staff we’re familiar from martial arts expositions is not a combat-ready weapon and will shatter after little use, but the hardwood bo staff is a dangerous fighting stick. It differs from a quarterstaff on the hand placement for its use, but also on its length; each bo staff is unique to the height and reach of its wielder. A staple weapon in anybody’s arsenal, the quarterstaff easily doubles as a simple walking stick. 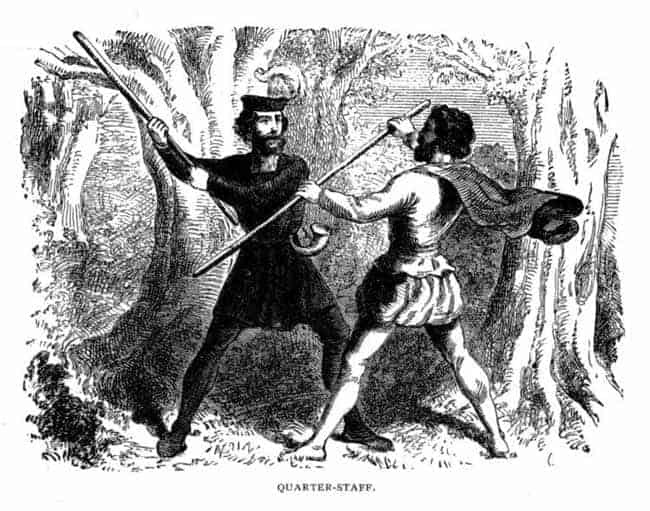 Its name and unique size refer to how a true quarterstaff is created; a hardwood tree is split into quarters to create a fighting stick made from the strongest wood of a tree. I’ve fashioned plenty of quarterstaves in my day and can say first-hand that weapons made from the branches of a tree are markedly inferior to those made from the core of a tree. 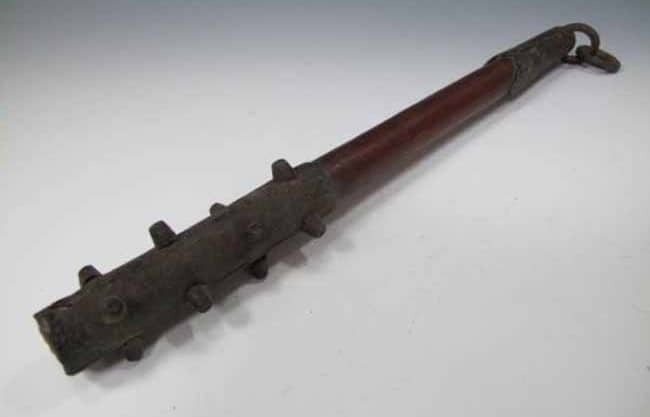 An iconic weapon of Asian heritage, the three-section staff was traditionally (and anecdotally) used for threshing grain and served as an improvised weapon until it became refined into its modern state. Today it is a complicated weapon to wield and just as likely to hurt the wielder as an enemy. But in the likely bruised and banged-up hands of a skilled combatant, this fighting stick offers totally unique options and capabilities. That’s right, sonny, the humble cane is an effective fighting stick. 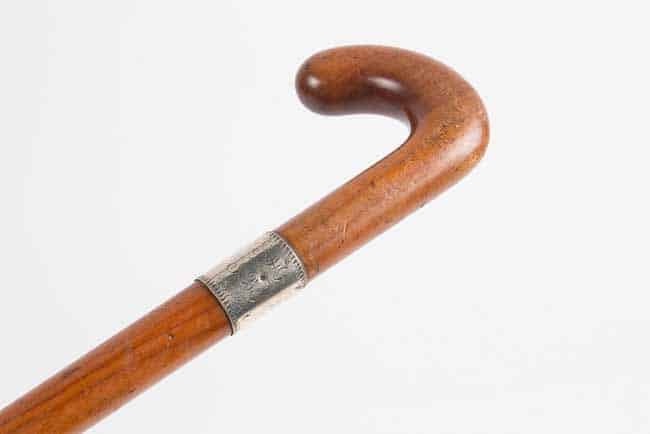 Everything about a cane makes it a durable and effective weapon; lightweight, strong composition, a good length easy to wield, and easily disguised as a non-descript piece of your attire. 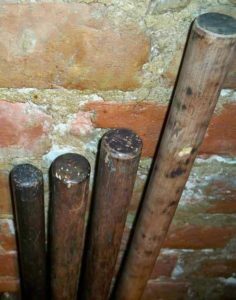 Traditions like hapkido are famous for their use of the cane as a fighting stick, but its use is not bound to any one style of martial arts. The Cane as a Weapon (Amazon Link) is a book from the early twentieth century detailing how to use the cane ambidextrously as a very effective weapon. 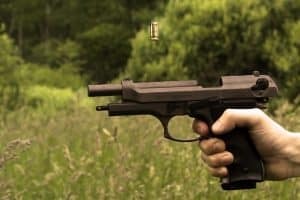 A short weapon, modern versions are collapsible and made of high-quality metals. This is a standard weapon for law enforcement officials worldwide, proving that you can’t improve on its excellent design. 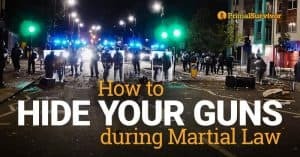 It requires minimal skill to wield, and we’ve got another article on some of the best ones for self defense to consider for your own use. A wild-looking weapon from New Zealand, the patu is a flat, almost paddle-like fighting stick often made from hardwood, bone, or stone. 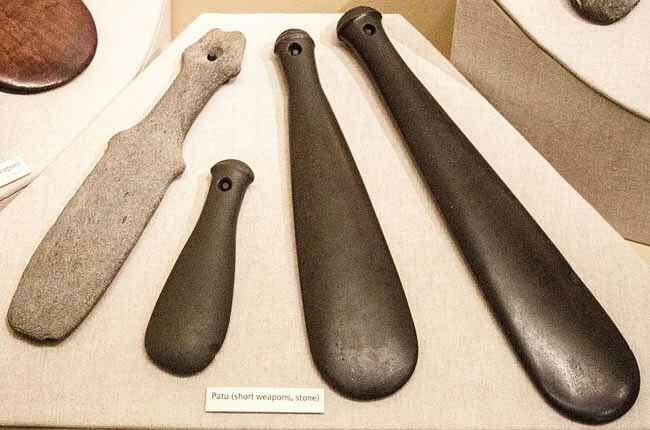 These fighting sticks were used as thrusting weapons to weak areas of a person’s body such as the temple, ribs, and throat. Ouch! Another weapon from New Zealand, the taiaha is typically made from bone or wood. Use of this weapon was refined in the martial art Mau rākau to deadly effect. This fighting stick is up to six feet long and features three major design points: a flat blade for a body used in striking, a “tongue” intended to parry and stab, and a neck from which the “tongue” extends. Truly a unique weapon demanding years of practice to attain proficiency. Hey, crowbars aren’t a fighting stick! 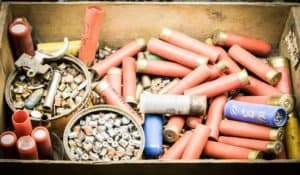 Not traditionally, no, and it might fit well into the club category, but the extra uses of a crowbar earn it its spot on this list. 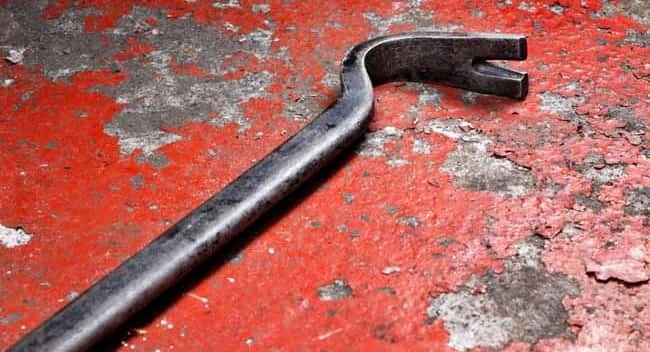 A multi-use tool that’s strong and durable enough to serve as a defensive fighting stick can be found in any crowbar. Luckily they come in various sizes for different strengths and purposes. Just don’t go looking for a class on Crowbar Combat 101. 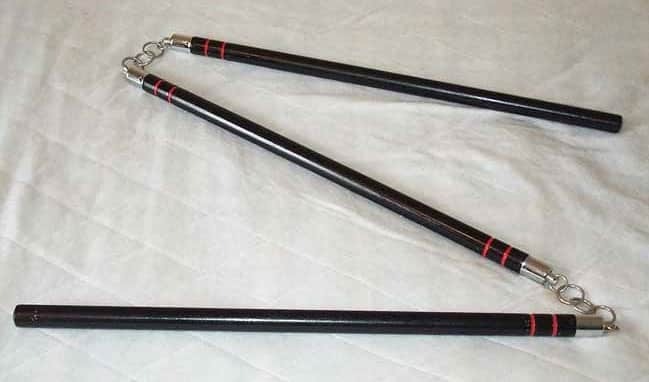 An interesting weapon descending from Asian martial arts traditions, the jitte was originally a substitute for establishments in Japan where a sword couldn’t be carried. 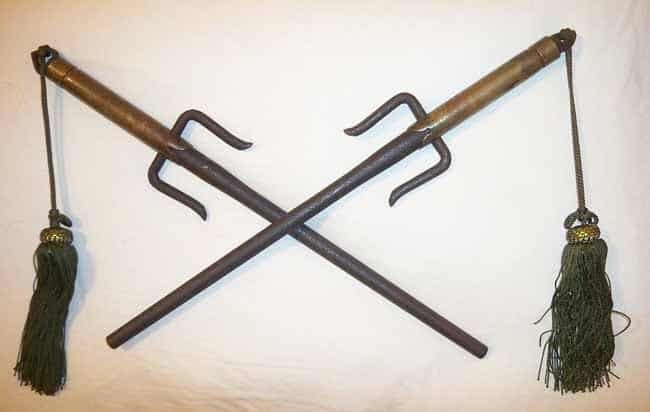 A jitte has a striking end somewhere between one and two feet in length, but with a smaller, secondary tine at the base of the striking portion of the weapon. It was used to jab into weak areas of an opponent and to hook the thumb of an attacker. Holy smokes, this thing would hurt. A two-handed club, the kanabo is studded with metal spikes or knobs on the striking half of this fighting stuck. 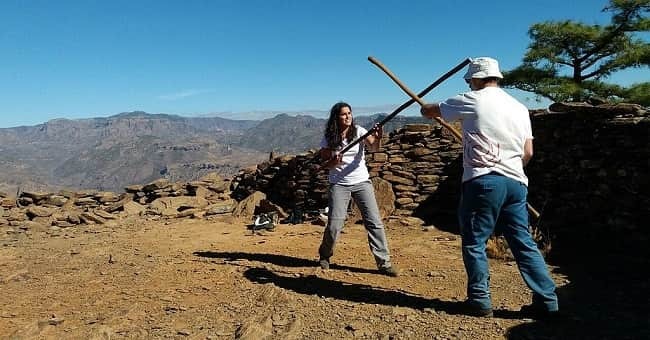 It’s similar to the baseball bat but longer and decidedly heavier; swinging the kanabo is one thing, but recovering from a miss requires special training. It was traditionally used to smash through armor and break bones underneath. 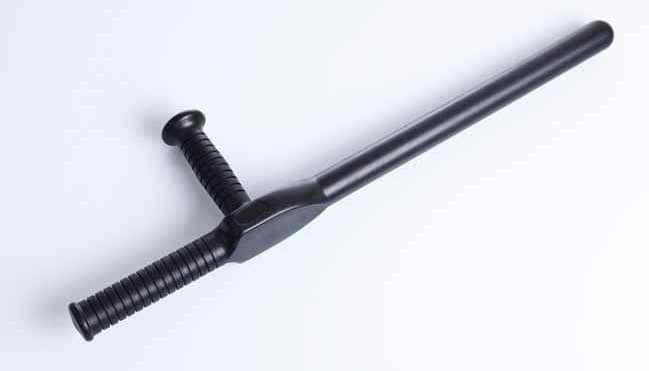 A popular fighting stick, the tonfa has found its way to use in law enforcement worldwide. Take a piece of wood or metal about one inch wide and add a good, strong extension to it that serves as a handle and you’ve got a tonfa. 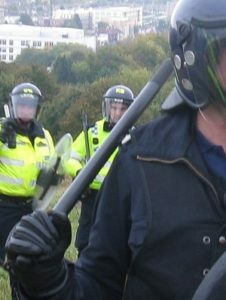 While the tonfa can be used a simple club, wielding it from the handle extension allows the weapon to become a powerful defensive tool. The Knobkierie is mostly found in Southern and Eastern Africa. Similar to a cudgel it has a heavy knob at one end and a thin shaft. 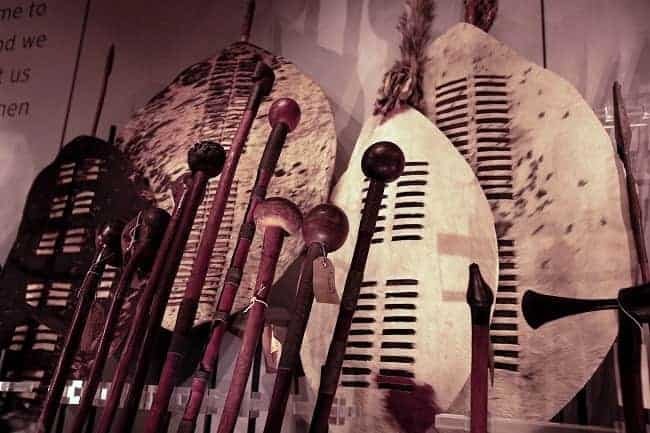 Most famously used by the Zulu tribes and still in widespread use today in rural areas of Africa. What about the pretty well known Zulu knobkerrie? Even Cold Steel makes a copy. Thanks have added that one in. Sure looks like it could dish out a fearsome whompin! You did leave out my favorite: the ‘Penang Lawyer.’ Appearing to be a walking stick, its’ head is loaded with the ‘metal of choice’ and affords an argument-resolving effect. Hahaha – love it. Thanks for the comment.